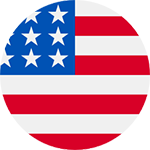 USA F1 Student Visas are generally valid for a period of 5 years including OPT (optional practical training). During study program, students can work only under certain conditions and in accordance with complex guidelines and restrictions issued by the United States Citizenship and Immigration Service (USCIS). After meeting the guidelines and taking permission from the university where they are studying students are eligible to work for a maximum period of up to 20 hours per week during the academic year. Students can work full time (40 hrs) only during holidays. The average wage for part time jobs is between $10 and $12 per hour. Students can opt for OPT which is related to their field of work. International students who have graduated from a university in USA are eligible to work full time for the remaining period of their visa in USA. As an undergraduate or postgraduate international student studying in the United States, employment is possible on a part-time basis for up to 20 hours every week. Optional Practical Training (OPT) is the work authorization letter where students can work anywhere in USA to get hands-on work experience related to the academic field of study. OPT is valid for one year and which is extendable to 24 months for the students who graduates in STEM (Science, Technology, Engineering & Mathematics) field.